You spend more than 60 percent of your waking hours at work. So if you’re miserable in the office, you are therefore miserable more than half of the time you’re awake! Imagine what your life would be if you turn those long working hours of sheer drudgery into Extraordinary Joy – something you only dream about while you sleep! 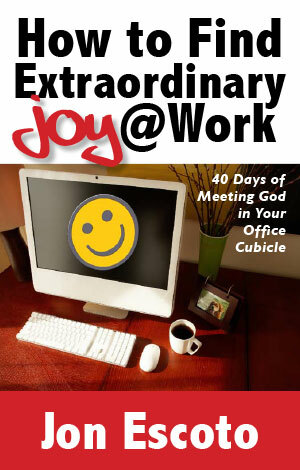 While it’s not hard to accept “Extra Joy” as a poetic pitch and as a religious experience, can it really be found – of all the places in the world – in your office cubicle? This book answers with a thundering YES! and shows you how.